The sciatic nerve is a long nerve that extends from the lower back through the buttocks and down the back of the legs. The nerve is prone to being pinched or entrapped as it extends the length of the leg down toward the heel. When the nerve becomes compressed around the hip, pain messages may be sent to the brain due to the inflammation that is sparked up. 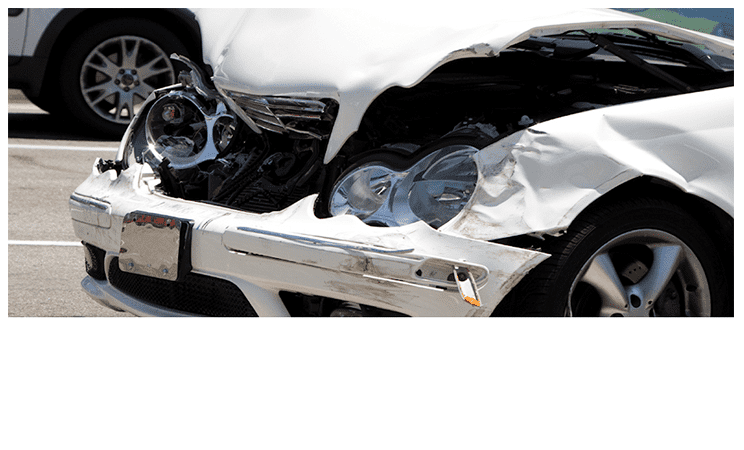 The pain may flare up due to a work related injury, or an auto accident. Interestingly, pain may be felt in the heel rather than in the continuous area typically affected by sciatica. Pain may develop in areas of the body such as the foot and heel. Referred pain from sciatica, for example, offers the impression that the only place in the body that pain is felt is when the affected individual stands and walks. The most common cause of heel pain is plantar fasciitis, or heel spurs. However, more and more patients are reporting pain in the heel that arises from referred sciatic pain. 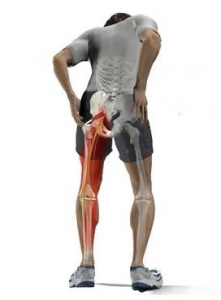 When sciatica referred pain arises, the patient feels pain or numbness at times in certain areas on the heel. Some people report a burning sensation in the heel at night or after they have been on their feet for prolonged periods of time. In the case of sciatica referred heel pain, the treatment plan should be designed for sciatica and not the heel specifically. In most cases, when the sciatica is treated effectively the pain in the heel goes away. Treatment for sciatica may consist of the administration of anti-inflammatory medications and both active and passive physical therapy. Before physical therapy is applied, your worker’s comp pain doctor may order imaging of the back to ensure that a herniated disc is not the culprit for the pain experienced. Once sciatica is diagnosed, physical therapy to relieve the symptoms is essential. Stretching, strengthening, hot and cold packs, acupuncture and even electrical stimulation may provide relief for the heel pain. Medication management for sciatica may include muscle relaxers, anti-inflammatories, non-narcotic agents like Ultram, or short term narcotics. If the MRI shows a herniated disc with nerve root compression, an epidural injection with cortisone may provide immense relief. 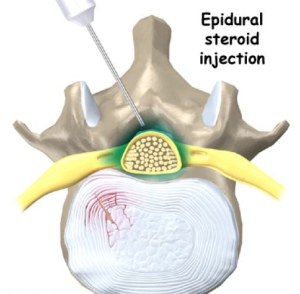 A series of epidural injections may be indicated to obtain the best outcome and avoid surgery. Overall, numerous studies have shown a 75% success rate with epidural injections. Contact our work injury doctor for detail information.